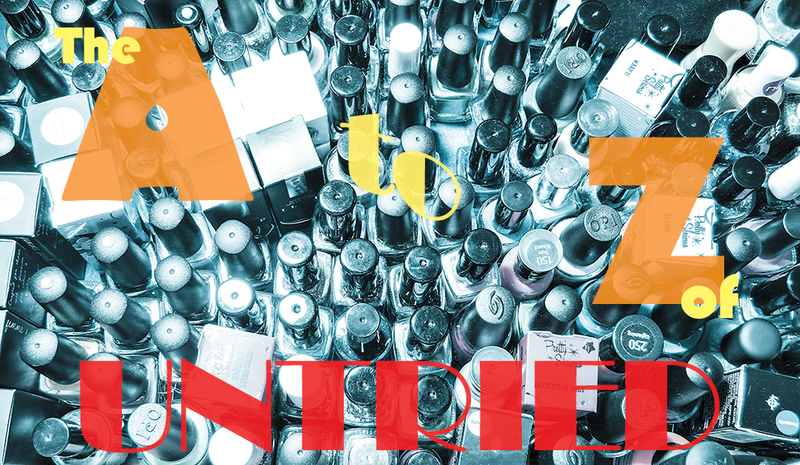 A new series begins today, giving me the excuse to really delve into my growing drawer of untrieds (or, as my friend calls it - Mordor) and finally show them the love they've been waiting for while satisfying my OCD tendencies and doing things alphabetically. Given I have untrieds well into the triple digits I'll be doing two for each letter wherever possible... so I figure I'll be covered until at least the letter Q. My first experience with Aliquid Lacquer and it's a fantastic way to start. Make A Wish is a ghostly pale grey with fiery copper and red flecks and radioactive lime shimmer. Easily one of the most unique polishes I own. Can't recommend this one highly enough. I purchased this from Powder Perfect but they are now sold out. Americans, you can buy it here. 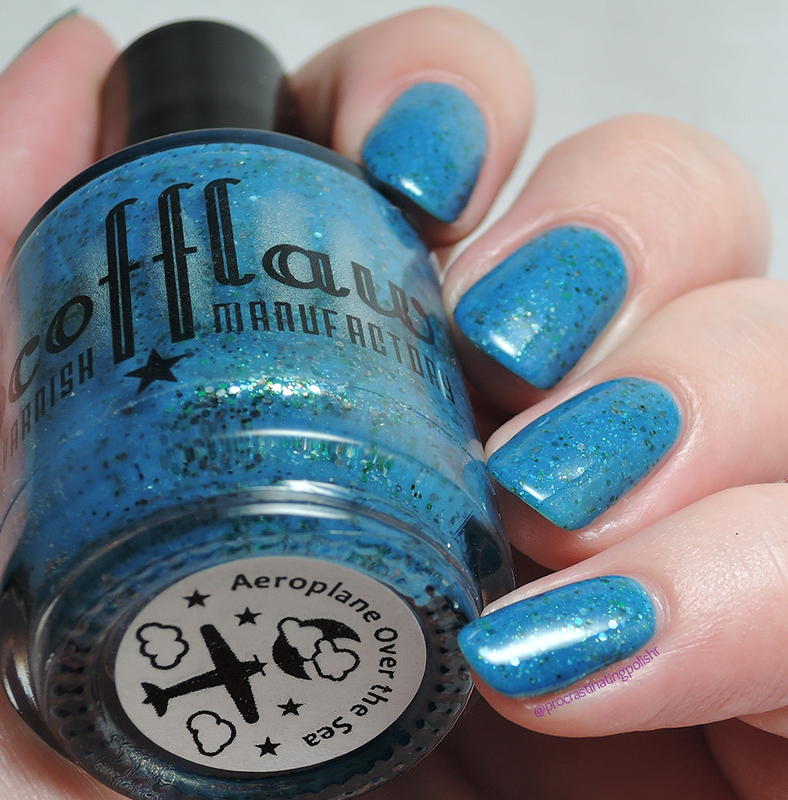 Deep ocean blue full of green and grey glitter and flakes with a subtle shimmer. Dreamily smooth and serene as the sea. As well as having some of the most consistently impressive collections, Scofflaw always have the best labels with little pictures that describe every polish name. Little things like that are the greatest! Australians can pick this up at Femme Fatale, everyone else check here for the Scofflaw store and other international stockists. Two down, one hundred and something to go!